Pawn Cushion Cut Diamonds- 25 Yrs of Loans on Cushion Cut Diamonds ! Whether you unexpectedly find that you need an influx of money sooner rather than later, or if your once favourite piece of luxury jewellery is now no longer something you find yourself wearing; searching for the best loans on cushion cut diamonds may be something that you are considering. Here at New Bond Street Pawnbrokers, we specialise in luxury assets and have decades of experience handling cushion cut diamonds. We not only offer the assurance of accurate pricing, but also discretion and sensitivity at every step of the way. If you have found yourself asking the question, “can I pawn my cushion cut diamonds?” then New Bond Street Pawnbrokers is the solution. A cushion cut diamond is renowned for combing its signature square shape with rounded corners, facing upwards to create the look of a larger diamond when viewed from above. This beautiful cut of diamond is timeless and often associated with being an older style that will not become outdated. The cut has a very interesting auction history, for example in 2017 a cushion cut diamond bought for £10 at a London junk sale and thought to be a piece of costume jewellery, sold for £657,000 at Sotheby’s. This is, of course, a newsworthy and rare occurrence but it shows the power that this cut of diamond has. Can I pawn my cushion cut diamonds? Being the proud owner of a piece of jewellery that features one or several cushion cut diamonds, you understand the unique qualities of this diamond cut. The soft, round corners and the signature upwards facing style, make this diamond a timeless cut that won’t go unnoticed at any event. Any luxury jewellery lover will know that this classic diamond cut is a style that will never become outdated, and is often passed down through generations. If you are asking New Bond Street Pawnbrokers “can I pawn my cushion cut diamonds?” – the short answer is yes. However, there is much more to consider when deciding where to take out loans on cushion cut diamonds at our award winning pawn shop in Mayfair, London. Your pieces of jewellery have more than likely been loved and cherished at one time or another, and they are also potentially worth a lot of money. It is important that you work with experienced and reputable pawnbrokers who will accurately value your pieces of jewellery and can assure you that the loan agreement is of benefit to you. Each member of our valuation team is a GIA-certified diamond expert who will assess the value of your cushion cut diamond based on clarity, colour, cut and carat. How does pawning your diamonds work? Pawning your cushion cut diamonds with New Bond Street Pawnbrokers is easy, clear and simple. From the moment you make contact with our store, you will experience the same care, sensitivity and respect we have for the precious pieces of jewellery we work with. We will value your diamonds, present the valuation to you and then together we will agree on the terms of our FCA-regulated loan service. You do not require a credit check to receive a loan from New Bond Street Pawnbrokers, and you will receive 100% of the value stated. We operate with a very open and honest policy, giving you the peace of mind that you won’t encounter any hidden clauses or fees. At New Bond Street Pawnbrokers, we take pride in our reputation throughout London and the UK for the care and attention we provide when offering loans against luxury items. 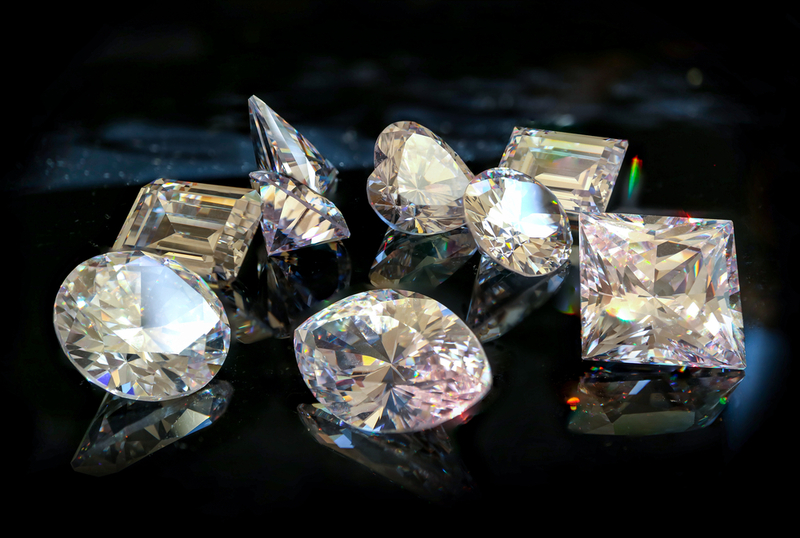 Starting the process of pawning your cushion cut diamonds is simple and can be handled quickly. Call our team on 020 7493 0385 to make an appointment for a free cushion cut diamond estimate or for more information about what we can offer you. We can also work with other diamond cuts, luxury jewellery, fine art, classic cars and many other personal assets. If you would prefer to do so, we also accept walk-in customers. For more information on services provided by New Bond Street Pawnbrokers please watch our video here and read about the loan process here.